HO scale is 1:87 size with 16.5mm track gauge and a minimum radius of 15 inches. HO scale model railroad layouts are an excellent size to appreciate the detail and running performance without being too cramped. Also, many model railroad enthusiasts say that HO scale model railroads are ideal for running their model trains using a digital setup. If you’re looking for model trains that require lots of switching operations then train enthusiasts will generally agree that an HO scale model railroad layout is an excellent choice. colors with a walk-around plan designed for scenery and operations. Founded in 1972, the Housatonic Model Railway Club was started to further the enjoyment of the model railroad hobby, primarily through the building and operation of an H0 scale model railroad. The model railroad club layout broadly followed what the Housatonic Railroad (which was swallowed by the New Haven around 100 years ago) might have looked like in the 1950's, had it remained independent. The Housatonic Model Railway Club hosts the Station Stop model railroad show and sale at the Fairfield Ludlowe High School in Fairfield each March. The show features operating layouts and displays by model railroad dealers. The model railroad track plan belonging to the H.O. Model Engineers Society focuses on the 1950’s in south central Ontario (Canada) with Hamilton as the hub. The major railroad subdivisions represented include Canadian National Railway's Oakville Subdivision from Oakville to Hamilton and the Grimsby Subdivision from Hamilton to Merritton, near St. Catharines. The Dundas Subdivision is also represented as one leg of the Bayview Wye leading to the hidden staging yard. The Canadian Pacific Railway operates on the Goderich Subdivision from Guelph Junction to Hamilton, as well as trackage rights on the Oakville Subdivision. The Toronto Hamilton & Buffalo Railway operates on the Welland Subdivision from Welland to Hamilton, which includes the New York Central Railway, as well as trackage rights on the Oakville Subdivision. The cities of Buffalo, Toronto and London are represented by common hidden staging yard, which feeds traffic to the modeled portion of the HO model railroad layout. A digital command control system for train operations is being used (Digitrax), along with a computerized model railroad interface (C/MRI) system designed to operate the centralized traffic control system from a dispatcher's panel located in an adjacent room. Train movement is monitored by the dispatcher and will be controlled from signal lights along the right of way. A variable speed, fast time digital clock used on the previous model railroad layout, is used to control passenger and freight movements. High frequency two ways radios are used to communicate between the dispatcher and all train crews. Both freight and passenger cars are switched into trains or industries based on a computerized car forwarding program, (Shipit) which selects appropriate rolling stock for specific customers and prints switch list orders for the conductor of each train crew. layout is far from complete, but the model railroad club is attempting to use as much of the new model railroad technology available to create a realistic 1950’s era transportation system. The RIT Model Railroad Club (RITMRC) was founded in early 1996 to promote the hobby of model railroading and to preserve the history of Rochester's railroads. Since 1996, the RIT Model Railroad Club has been concentrating on a permanent model railroad project. The HO scale Rochester & Irondequoit Terminal is an ongoing project being constructed using each members areas of expertise. 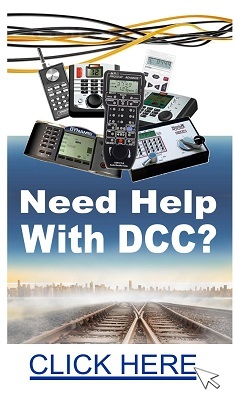 Located in Room A-420 in the Student-Alumni Union, the model railroad features the latest in Digital Command Control (DCC) technology, working wayside signals, and highly detailed models and scenes inspired by the Rochester area. In 2004, the model railroad club embarked on its second most ambitious project to date: a 40'x12' modular HO scale model railroad layout. This modular layout, based on the latest NMRA standards, allows RITMRC members the continued opportunity to design and construct a model railroad from the ground up. Also powered by Digitrax DCC, this modular layout is portable, allowing RITMRC to travel outside of the RIT campus and show off its modeling talent. The Black Diamond Lines Model Railroad Club models in HO scale, which is a ratio of 1:87. This means that if a model is 1 foot long, it represents a real-life object that is 87 feet long. (One foot, in HO scale is actually 0.137 of an inch.) The layout occupies approximately 1500 square feet of space, with a track elevation range from 46 inches to 82 inches above the floor. The Black Diamond Lines is an active, operating HO scale model railroad club located in Antioch, CA. Abilene Society of Model Railroaders Abilene, All Points North Model Railroad Club Conroe, Austin Steam Train Association Austin - Texas, AustNTrak Model Railroad & Eating Club Austin, Corpus Christi Model Railroad Club Corpus Christi, Texas & Beyond Model Railroad and Historical East Texas Model Railroad Club - ETMRC Commerce, Fort Bend Model Railroad Club Sugarland, Galveston County Model Railroad Club Texax City, Galveston Model Railroad Club Galveston, Gulf Coast Society of Model Railroading, Houston Area "G" Gaugers Model Railroad Club Houston, Houston N Crowd Houston, Houston Area Live Steamers Houston, Houston Tinplate Operators Society Houston, Kevin's Train Page Beaumont, Lockheed Martin Recreation Assoc, North Cherokee Valley Model Railroad Club Jacksonville, North Texas Garden Railroad Consortium Dallas, NorthWest Crossing Model Railroad Club Houston, Oklahoma, Red-River & Texas Model Railroad Club Paris, San Antonio Model Railroad Association San Antonio, San Jacinto Model Railroad Club Houston, South Side Railroad Modelers Dallas, Southwestern Live Steamers, Tex-N Modular Railroad Club Plano, Texas Northern Model Railroad Club Mesquite, Texas Western Model RR Club Fort Worth, Tinplate Trackers Austin - Texas, Trinity NTRAK Fort Worth, Texas. Box Elders N Scale Model Railroaders, Hostler's Model Railroad Club Ogden, Ophir Tintic & Western Model Railroad Club Utah County, The O scale guys salt lake city, Utah Free-mo Utah, UT. Connecticut Valley Model Railroad Club White River Junction - Vermont, Northwestern Vermont Model Railroad Society Essex, VT.
Lynchburg Area N-Scalers Lynchburg, Northern Virginia Model Railroaders, Northern Virginia NTRAK Manassas, Piedmont Railroaders Warrenton, Prince William County Model Railroad Club, South Hampton Roads NTRAK, RRFriends Central Virginia. Bellingham Society of Model Engineers Bellingham, Boeing Employees Model Railroad Club Kent, Lewis And Clark Train Club Clarkston, MS-Rail Model Railroaders, Mount Rainier N Scale Modular RR Club Tacoma Area, Pelican Bay & Sallal RR Whidbey Island, Puget Sound Model Railroad Engineers Tacoma, Puget Sound Garden Railway Society Puget Sound, Tacoma North Western Model Rail Road Federal Way, Tri City Model Railroaders, United NorthWest Model Railroad Club Seattle, WA. Crescent Model Railroaders Washington DC area, Washington Metropolitan Area LEGO Users Group. Mon Valley Railroad Club of West Virginia Morgantown, WV. Capital City 'N'Gineers Madison, Cedar Creek Central Railroad Club Jackson, Central Wisconsin Model Railroaders Plover, Cream City Traction Club Milwaukee, Kettle Moraine Ballast Scorchers Railroad Club West Bend, Lionel Railroad Club Of Milwaukee, Machickanee & Splinter Creek Model Railroad Club Oconto, Metro Model Railroad Club Port Washington, Milwaukee Area N-Trak Milwaukee, Milwaukee N South Eastern Milwaukee area (Cudahy), Milwaukee School of Engineering Society, North American Prototype Modelers Milwaukee, Paper Valley Model RailRoad Club Kaukauna, Rothschild, Schofield And Weston Model Railroad Club, St. Croix Railroad Hudson, Sheboygan Society Of Scale Model Railroad Engineers Sheboygan, Tri-County Model RR Club Kenosha, Wisconsin Garden Railways Society State-wide, Wisconsin & Northshore Garden Railroad Club.